Ms. Burnight, CEO-Facilitated Resources, is a certified professional facilitator with over twenty-five years of experience in community collaboration, board and corporate training, and facilitation. 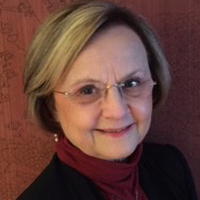 A graduate of the University of Iowa and a former elementary and middle school teacher, Deb blends a rich background from her work with educational, private, government, corporate and not-for-profit sectors with solid facilitation skills to help groups communicate and work together effectively. She is a principal of Prairie River Partners training consortium and serves as a regional training registrar and national Mentor Trainer for the Institute of Cultural Affairs-USA. Trained maternal-child health professionals from seven states in ToP facilitation methods to enhance existing efforts to build comprehensive adolescent health systems; Comprehensive Adolescent Health Systems Collaboration and Innovation Network (CAHS-CoIN) – Process built capacity for the collective impact of states to implement comprehensive adolescent health systems which resulted in cross-sector consensus for state-level strategic plans on adolescent health. Facilitated a think-tank of professionals from NACCHO, American Red Cross, State Departments of Emergency Management, Local Public Health Departments, the Medical Reserve Corps, CDC and FEMA to provide recommendations on providing effective public sheltering for up to 1,000,000 people during a radiation emergency; National Association of County and City Health Officials (NACCHO) – the project produced Clear recommendations for the publication of the guidance document, “Operating Public Shelters in a Radiation Emergency – A Planning Guide”, with a plan in place for the dissemination and maximum use of the guide by local health departments and community partners in the event of a major radiation emergency, including screening for radioactive contamination, decontamination, radiation monitoring, registration, health surveillance, and communications. Trained over 240 local and state health department professionals in ToP facilitation methods to enhance partner engagement in identifying community priorities and implementing public health interventions; Florida Department of Public Health – The initiative enhanced the capacity of State and Local Public Health Departments to engage community partners in Community Health Assessments (CHA) and Health Improvement Plans (CHIP) and equipped community health educators with skills and tools needed to lead difficult and productive conversations in a wide variety of public forums. Designed and implemented a Collective Impact approach to State Health Improvement Planning; Nebraska State Health Department – Facilitated 9 state-wide Impact Teams in the process of “frameworking” community engagement, identifying key influencers of change, and creating implementation plans for their strategic priorities. The process allowed the creation of a common measurement tool and shared accountability to collect and report performance data and launched a shared vision for change in the state around specific priorities. Over 20 years, provided facilitation of five 3-year strategic planning and implementation cycles; Sioux City Police Department – also trained over 70 Command Staff, sworn officers and civilian staff in effective group participation and facilitation skills to support their transition to a community policing philosophy. Facilitated the design of a 2-year pilot project increase capacity at community/local/state levels to address the impact of racism on birth outcomes and infant health; The Partnership to Eliminate Disparities in Infant Mortality (PEDIM) – Worked with key staff of CityMatCH, National Healthy Start Association and the Association of Maternal Child Health Programs to design and implement partner engagement in the project (6 community teams in initial pilot). New collaboration and partnerships were established in every community team, as well as ongoing community projects and accomplishments. A 1yr post-conclusion evaluation revealed that participants confirmed that the ALC process and content provided to teams were innovative/leading edge for MCH practice. Facilitated a “Thought Leaders’ Summit” of key state-wide stakeholders inclusive of doctors, pharmacists, pharmaceutical companies, treatment providers, poison control; Iowa Medical Society and Iowa Pharmacy Association to developed a state-wide strategy and a legislative agenda to address the emerging opioid issue. Facilitator training, coaching and mentoring; Institute of Cultural Affairs (ICA) – Trained more than 900 facilitators in leading in-depth conversations, consensus process, action and strategic planning, implementation, environmental scanning, event design and group creativity techniques. Served on Board of Directors for national Technology of Participation (ToP) Network and as Regional Registrar. ToP Mentor Trainer, Certified ToP Facilitator and active member of several internal ToP Network work teams. Developed curriculum for several community-based leadership programs; BoardWalk, BoardLAUNCH, Leadership Siouxland. Served as faculty for Certificate in Fundraising Management – University of Nebraska at Omaha. Provided facilitation of five 3-year strategic planning and implementation cycles over 20 years; Sioux City Police Department – trained over 70 Command Staff, sworn officers and civilian staff in group participation and facilitation skills to support a community policing philosophy. MAPP (Mobilizing Action through Planning and Partnerships); National Association of County and City Health Officials (NACCHO). Provided strategic planning and technical assistance for the MAPP work team designated to guide ongoing development of the MAPP healthy community planning process. Contributed to the publication of the MAPP User’s Handbook, 3rd Edition. Facilitated CHA (Community Health Assessment) and CHIP (Community Health Improvement Plan) processes for over 17 Local Health Departments in Nebraska, resulting in cross-sector community-based solutions to critical public health issues and policy development. Facilitated statewide strategic planning for child welfare and juvenile justice reform; Nebraska Children’s Commission – initiative brought together public and private, formal and informal efforts to help design effective prevention and intervention programs and services and build up supports for families so that families can stay out of the child welfare system. Strategic planning for 18 community-based, private and education foundations to support community and organizational development initiatives. Facilitated the launch of a tri-county data-driven indicator project to help communities make connections between issues and trends in different areas; Omaha Community Foundation – project brings together residents, donors, nonprofits, policy-makers and advocates to create a shared vision of community priorities, spark new conversations around these issues and create alignment of efforts to move the indicators forward. Wayne Area Economic Development, Inc.
Berenstein, Moore, Berenstein, Heffernan & Moeller, L.L.P.